The final keynote announced for next month’s Leading Through Excellence summit is the latest high-profile hire in the world of Buckeyes sports who’s off to an auspicious start. The Ohio State University Center for Operational Excellence is thrilled to announce Buckeye Men’s Basketball Head Coach Chris Holtmann will serve as the morning keynote on the final day of the April 10-12 summit. He joins fellow keynote speakers Charles Duhigg, Pulitzer Prize-winning author of The Power of Habit; Karen Martin, author of Clarity First; and Bradley Staats, a researcher and author of the forthcoming Never Stop Learning. Coach Holtmann’s keynote slot last year featured a visit from Buckeye Football Head Coach Urban Meyer. The announcement comes just weeks after Holtmann clinched Big Ten Coach of the Year honors in his first season with the Buckeyes, who are 24-8 overall and 15-3 in the Big Ten. Holtmann, who’s won Coach of the Year three times now in three different leagues, coached the Buckeyes to a 9-0 run out of the gate in Big Ten play. That’s the first time that’s happened for seven or more games in nearly a century, according to the Cleveland Plain Dealer. Check out his full bio on COE’s summit website. In his keynote, Coach Holtmann will be sharing career and leadership insights – and some thoughts on the season – as well as taking questions from the audience. The four featured Leading Through Excellence keynotes are among more than 40 sessions offered at the summit, which is more than 80% booked a little more than a month out. The dynamic mix of workshops, tours, breakout sessions, networking events and keynotes is COE’s signature annual event, which is open to the general public as well as employees of member companies. Have a story of transformational change at your organization you’d like to share? Have research-based insights that can help business professionals develop their leadership or problem-solving skills? The Ohio State University Center for Operational Excellence is accepting proposals for breakout sessions at its 2018 Leading Through Excellence summit, set for April 10-12 at the Fawcett Center on Ohio State’s campus. For attendees, the 25 breakout sessions to be offered at the event – spread across April 11 and 12 in five 60- and 75-minute blocks of five concurrent sessions – allow them to customize their summit experience to choose the topics that fit their interests and best align with their personal and organizational goals. For presenters, the sessions offer the chance to share best practices and make connections with hundreds of business leaders. While COE will still be recruiting a number of breakout presenters outside this process, between five and 10 sessions will be drawn from submitted proposals. All session presenters receive complimentary admission to the summit. Presentation proposals will be reviewed and accepted on a rolling basis, and all those who submit proposals will be notified of their status by Jan. 15, 2018, at the latest. Miss this year’s Leading Through Excellence summit or looking to revisit it? Cal Poly Prof. Eric Olsen, who hosted a workshop and breakout at this year’s summit and is featured on the “Manufacturing Tomorrow” podcast. and Mark Reich, COO of the Lean Enterprise Institute, who hosted a breakout session on hoshin planning. You can check out the first round of the podcast interviews, featuring Dunston and Browning, here, while round two – with Olsen and Reich – can be found here. COE regularly partners with OMI to bring speakers to Manufacturing Tomorrow. Past COE collaborations have resulted in podcasts interviewing Goodyear’s Norbert Majerus, COE Executive Director Peg Pennington, Snap-On Inc. CEO Nick Pinchuk and more. The full Manufacturing Tomorrow podcast archive is available on iTunes. In just 10 weeks, 400 process excellence leaders from around the country are gathering at the Fawcett Center in Columbus, Ohio, for the Center for Operational Excellence’s fifth-annual Leading Through Excellence summit, a wide-ranging deep dive into problem-solving and leadership insights featuring two-dozen speakers. We’re 70% booked. Registrations are coming in at a record pace that could lead to a full sell-out before April 1. If you’re considering returning to the summit or joining us for the first time, now’s your opportunity to guarantee your spot and have the best access to available Tuesday workshops and tours. Early bird pricing ends Feb. 13. Right now, all member and non-member registrations to the summit are automatically discounted by 5%, while groups of five or more that register trigger an additional 5% discount. On Feb. 14, one of those price breaks will vanish, leaving only the group discount on the table. Gather your team now and sign up before then to ensure the best pricing. Most breakout sessions are up for view. Leading Through Excellence offers five breakout session windows across April 12-13, with four options during each session. Of the 20 total options, 15 full abstracts are now posted on our website, with the remaining five set to debut by Friday, Feb. 10. Take a look now at what’s being offered and some of the organizations featured, including Cleveland Clinic, Bose, LeanOhio, IBM, LeanCor and FedEx. Another keynote will be announced next Friday. Right now, we’re thrilled to feature Mindset Digital CEO and organizational communication expert Debra Jasper and The Alliance co-author Chris Yeh as keynotes for Leading Through Excellence. If you’re joining us for the Feb. 10 seminar via live-streaming or in person, you’ll be the first to hear our latest keynote announcement, which we’ll be posting on our website and via social media later that day. Workshops and tours are filling up… Even with a record 15 workshop and tour offerings on Tuesday, April 11, some sessions are beginning to fill up. The all-day “Business Storytelling for Leaders” workshop hosted by ThedaCare has reached capacity along with the morning “Aligning Improvement with What’s Important” strategy workshop hosted by lean expert Beau Keyte. In the afternoon, tours to Anheuser-Busch InBev and Fuse by Cardinal Health – 2016 offerings back by popular demand – have booked up, as has a tour of BMW Financial Services. …but many are still available. The upside? Another 10 tour and workshop offerings – including a newly added afternoon session of Keyte’s “Aligning Improvements” session – are still up for grabs. That includes an all-day lean office-focused tour of the Cleveland Clinic’s massive Revenue Cycle Management area, a morning crash course in data analysis, a zombie-themed afternoon Six Sigma workshop, a trip to Honeywell Aerospace, and more. We’re going digital. Leading Through Excellence is debuting an official app for this year’s summit that includes all information on sessions and keynotes, speakers, sponsors, exhibitors and more. Attendees also will have the opportunity to connect with others via messaging, rate sessions, and submit Q&A electronically. The summit app will roll out a month before the summit, giving you a chance to explore what it has to offer and make the most of it across the event’s three days. Hotel deadlines are approaching. Coming in from out of town? Bringing a group? There’s still time to take advantage of specially reserved hotel blocks at two venues near the Fawcett Center: The Hilton Garden Inn and Staybridge Suites OSU. Hilton Garden Inn’s block pricing is available through March 10, while a newly added block at Staybridge must be booked by March 25. Rooms in the summit block have sold out each year in advance of the deadline, so head to our lodging/travel page to make your reservations. Our summit schedule has changed – for your convenience. To better accommodate travel schedules on the summit’s final day, Thursday, April 13, Leading Through Excellence will kick off at 8 a.m. and conclude with a 12:30 p.m. lunch following closing keynote Chris Yeh. Thursday’s early start is worth it. A very special guest will take the stage at 8 a.m. on the summit’s final day – and you won’t want to miss it. Intrigued? We’ll be making the announcement in the March summit preview edition of our Current State e-newsletter and on this blog. Ready to register? Click here or check out event details on our official site. The core principles at the heart of Dan Markovitz’ latest book, Building the Fit Organization, are the very essence of lean thinking. Just don’t expect to see the word “lean” past the introduction. Or, for that matter, any references to a certain automaker, its namesake production system, or a litany of Japanese words. Building the Fit Organization, which the author breaks down in an exclusive half-day workshop as part of COE’s Leading Through Excellence summit on April 12, is Markovitz’ response to a disconnect he sees in how we communicate lean concepts and leadership principles to our people. We recently spoke to Markovitz about what that disconnect is – and how first book since his Shingo Prize-winning A Factory of One tackles it. COE: There are a ton of books on lean out there. What inspired you to write this one? Dan Markovitz: Over the years I’ve seen a lot of really smart people work with companies trying to improve operational performance by driving a lean transformation – and yet the number of companies that actually succeeded is vanishingly small. This book is an exploration, my attempt to explain one of the root causes of this and rectify it. COE: So what is that root cause? DM: We’re asking people to think about their work differently, yet we make it unnecessarily difficult for them to accept it. I see a lot of people using the language of Toyota, literally using Japanese, telling people working in a bank or a hospital how Toyota builds cars. Their very first response is to lean back in their chairs, cross their arms, and say, “We don’t make cars.” The leader, consultant, or improvement professional then has a huge uphill battle to explain that they’re not trying to turn them into factory workers. Then, after a week, a month, or six months, people may start to get it. If we could speak to them using analogies and metaphors that make sense to them, all the sudden we don’t have to go uphill. COE: You’re definitely not letting consultants such as yourself off the hook here. COE: You went with a physical fitness metaphor for your book. Why? DM: Fitness works for me – I used to be a competitive runner and a running coach. You could just as easily use a metaphor of music or writing, all kinds of things. I believe that if we’re a little more creative about the way we tell the story, the way we present the ideas, it’ll be a whole lot easier for us to sell the ideas and get people to embrace and implement them. COE: You also made the very conscious decision to leave tools out of your book. What led to that? DM: Oftentimes, we lead with tools and we end up losing people. The tools that people learn – 5S, for instance – often are designed to solve specific problems. Who knows what your specific problem is? With this book, rather than talking about tools, I wanted to talk about principles. It’s important that people grasp the fundamental concepts and understand how to become better, fitter organizations before messing around with tools. COE: What do you see as the audience for your book and, by extension, your workshop on April 12? DM: Certainly both are for people who are relatively new to the idea of continuous improvement but might be intimidated by the all the Toyota, 5S, kanban, water spider talk. The second audience, though, is companies who have started lean or some continuous improvement program and seen it stall out. This is a way for them to reintroduce it in a fashion that would be more accessible. I also think this would be really valuable for leaders in an organization. The principles I talk about really need to be lived and embodied by leadership. If a leader’s not committed to a fit organization, it’s not going to take hold. Learn more about Dan’s session, and others being offered at Leading Through Excellence, on the official event website. The good news? COE’s fourth-annual Leading Through Excellence summit is less than three months away, and you still have more than two weeks to save up to 15% on registration. The bad news? Seats are selling fast – we’re already half-booked – and some tours and workshops are either full or approaching sell-out. Nearly Sold Out: Limited seating remains for the Tuesday afternoon Anheuser-Busch InBev tour. Another tour offered Tuesday afternoon, to Cardinal Health’s Fuse software development operation, has a scant few slots remaining. Gaining Steam: Planning on taking part in our marquee workshop for this year’s summit, The Pit Crew Experience? A number of seats already are pre-booked, while additional tickets are selling quickly. We expect this option to sell out by late February. Another tour gaining popularity among registrations is the trip to longtime COE member Abbott Nutrition, whose massive Columbus operation employs thousands in the region. These are only a handful of the day-one options at Leading Through Excellence; capacity remains for a number of morning workshops and afternoon tours. Be sure to check out the full summit site for details on our featured keynote speakers, our still-growing roster of breakout session hosts, and discount pricing. At least one workshop at this April’s Leading Through Excellence summit is a must-have on your wish list. PIT was founded in 2000 and has since hosted hundreds of companies for training. The Center for Operational Excellence this spring is partnering with Mooresville, N.C.-based Performance Instruction & Training (PIT), a hotbed for training pit crew athletes worldwide. Not only will PIT leader Ben Cook be kicking off the second day of the summit on Wednesday, April 13, but PIT will be running a limited-capacity hands-on workshop on Tuesday, April 12. Available as a workshop Tuesday afternoon is “The Pit Crew Experience,” which draws on the high-stakes world of pro-racing pit crews to explore the lean concepts we can apply at our organizations. Much in the spirit of the pit crew changeover itself, though, this workshop is hands-on and fast-paced: After a brief presentation on the “think inside the box” concepts PIT uses to teach its athletes, participants will be plunged into a multi-round tire-changing competition that puts those concepts immediately to work. This is an unprecedented opportunity to experience the best-in-class lean training offered by PIT, which began operations in 2000 and has trained more than 500 athletes along with more than 200 businesses. In Mooresville, also known as Race City, USA, its campus encompasses 5.5 acres and 32,000 square feet. Though a highlight of the upcoming summit, “The Pit Crew Experience” is one of 11 workshops and tours being offered on the first day of the summit, which runs April 12-14. Head to our official site for more details. With registration for the Center for Operational Excellence’s fourth-annual Leading Through Excellence summit set to open next month, we’ve unveiled the featured keynote line-up for the April 2016 event. Leading Through Excellence will take place April 12-14 in Columbus, Ohio, and feature its signature mix of plant tours, industry and researcher-led breakout sessions, and dynamic keynote speakers. Registration opens Monday, Dec. 7, with a 15% discount in effect until Jan. 1, 2016. Ben Cook, program director, Performance Instruction and Training (PIT) – Cook, who kicks off Leading Through Excellence on Wednesday, April 13, is a leader at PIT, the award-winning corporate and pit crew training operation in North Carolina that draws pit athletes from around the world. A veteran of the racing world, Cook works with organizations to absorb and strengthen the team-building concepts crucial to the high-octane realm of the pro-racing pit crew: Communication, handoffs, and a culture of accountability. Cook’s organization will be at Leading Through Excellence next year on the summit’s first day, April 12, to host an exclusive, half-day pit-crew experience workshop that allows attendees to hone those skills in an actual pit-stop setting! 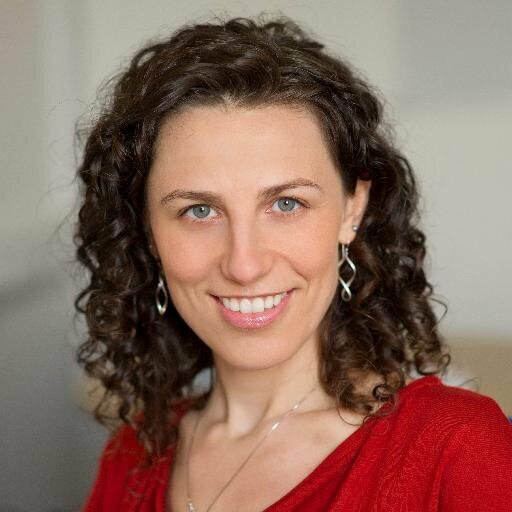 Francesca Gino, professor of business administration, Harvard Business School; author, Sidetracked – Gino is a researcher and author whose work has been featured in The Economist, the New York Times, Newsweek, The Wall Street Journal, and others. Her research focuses on on judgment and decision-making, negotiation, ethics, motivation, productivity, and creativity. Her book, Sidetracked, looks at how decisions in work and life get derailed and how we can stick to the plan. Gino has received research awards from the National Science Foundation and the Academy of Management. In addition to teaching, she advises firms and not-for-profit organizations in the areas of negotiation, decision-making, and organizational behavior. Todd Henry, author, The Accidental Creative, Die Empty, Louder Than Words – Henry, whose keynote closes the summit April 14, regularly works with companies on how to develop practices and systems that lead to everyday brilliance. His books have been translated into more than a dozen languages, and he speaks internationally on creativity, productivity, leadership, and passion for work. At next year’s summit, Henry will be drawing on his two latest books. In 2013’s Die Empty, he identifies the forces that cause even the brightest, most skilled people to become stagnant in their life and career, and introduces practices that help them build a body of work they can be proud of. In this year’s Louder Than Words, he teaches how to build a body of work that creates value and resonates inside and outside your organization. Billy Taylor, director, Commercial, Off-Highway, and Support Manufacturing, Goodyear Tire & Rubber Co. – Taylor is a respected, motivating and natural visionary leader with over 20 years of diverse experience in all phases of operations management. He took on the role of Director of Commercial, Off-Highway, and Support Manufacturing, North America, at Goodyear this year, after serving as Director of North American Commercial Manufacturing. Past roles at Goodyear include plant director and plant manager. Taylor is a certified Six Sigma Black Belt business leader with a proven track record of accelerating revenue growth through strategic and tactical development and implementation of operational excellence systems and people engagement processes. He has his MBA from Baker University and a bachelor’s in electrical engineering from Prairie View A&M University.